There are some new loves (and an old favorite) in my makeup collection that just haven't gotten their time in the sun with a blog post yet. So here we are! 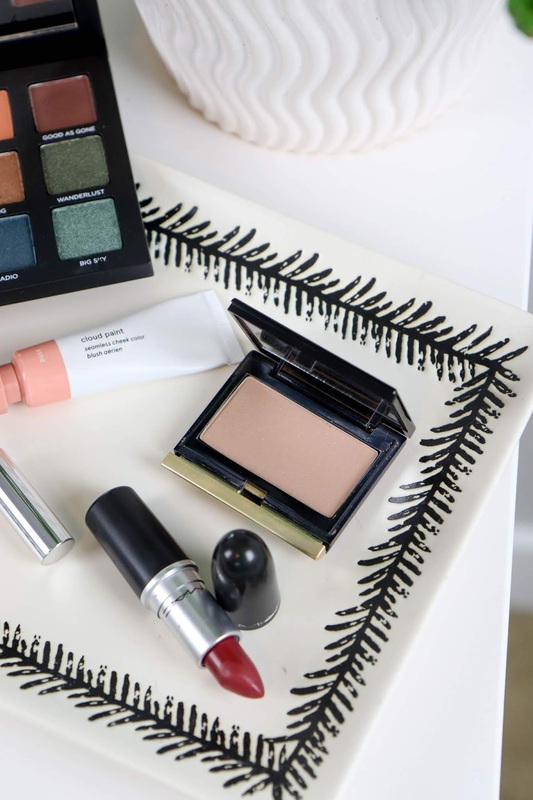 Let's dive right in with the five products you need to buy (or at least swatch) this month. Urban Decay's Born to Run Palette* landed on my doorstep on my birthday so it felt like a nice little gift from UD to me. It's quite possibly my favorite palette by them ever and I've given all the Naked palettes a go. It has that classic UD quality, but the color range has everything you could possibly need. 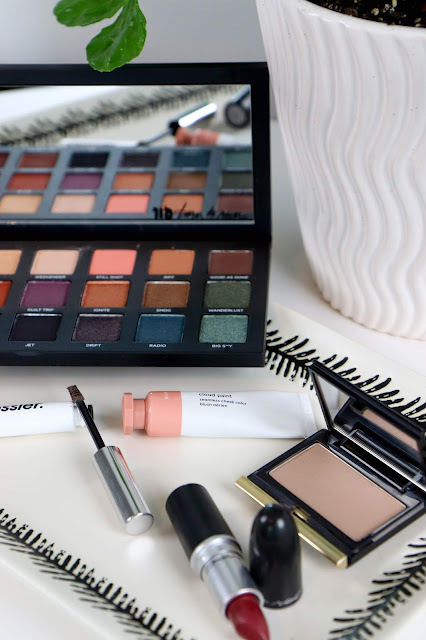 There are a ton of neutral shades for everyday, but some great options if you're feeling a bit adventurous. Plus the packaging is high-quality and gorgeous. For all my fellow translucent pale people, contouring can be quite the struggle. I spent ages hunting around for a good, light contour option that wasn't too orange. Although the Kevyn Aucoin Sculpting Powder costs a pretty penny, it's one of the best makeup purchases I've ever made. Plus it's lasted me six months or more so far without really making a dent in it. It's the best for contouring if you aren't too sure of what you're doing, or need something on the cooler toned side of the spectrum. There's also some darker shades as well. Every year for my birthday I pick up two new Mac Lipsticks to add to my collection and although I love the other shade I purchased, "Retro" had to be mentioned. It's this gorgeous burgundy red shade that isn't too much on the lips. And it truly makes me feel retro when I wear it. There's just something about the tones in it that are so 1950s. I've had a serious obsession with Glossier lately and you should too. They're makeup is perfection if you're wanting a no-makeup-makeup look. Everything is so natural and glowy that I have to stop myself from scooping up one of everything to try. My two current favorites are Boy Brow and Cloud Paint in "Dusk" and both are staples in my every day routine. Boy Brow is the most natural looking brow product ever and does wonders at darkening my brows while filling them in. It never looks like I have anything in them, but they always look full and amazing. The cloud paints are a bit odd at first to get used to, but I just dab the product onto my cheeks and blend it out with a small fluffy brush. Perfect finish every time. Save 10% on your first purchase with my affiliate link! So if you find yourself near a Sephora or an Ulta this month, definitely pop in for a swatch or two. 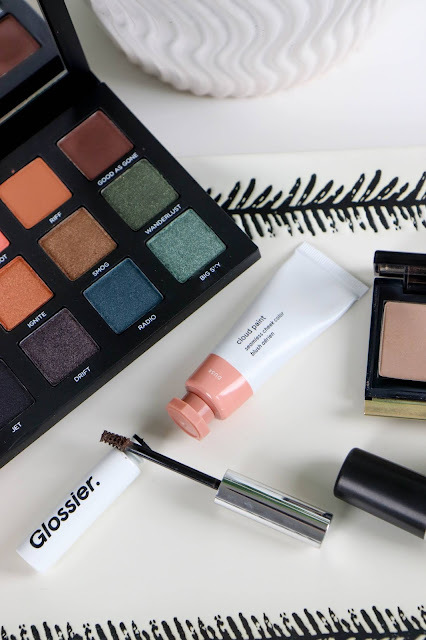 These five have shaken up my makeup routine and I'm loving every glowy, colorful second of it!